*Click here for Part I and here for Part II. First, a caveat: WordPress has this handy feature for bloggers in which you can view the stats for your blog, such as how many hits you’re getting and what your tops posts are. 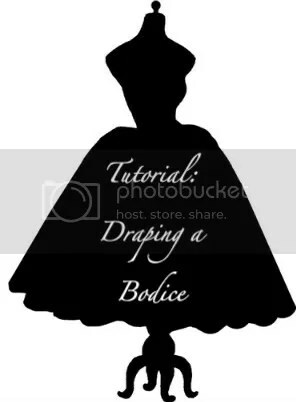 They also have a feature about what search terms people on the internet are using to be directed to your blog, and it turns out that I am getting a lot of hits under the search term “draping a bodice,” “bodice draping,” or a variant of that. 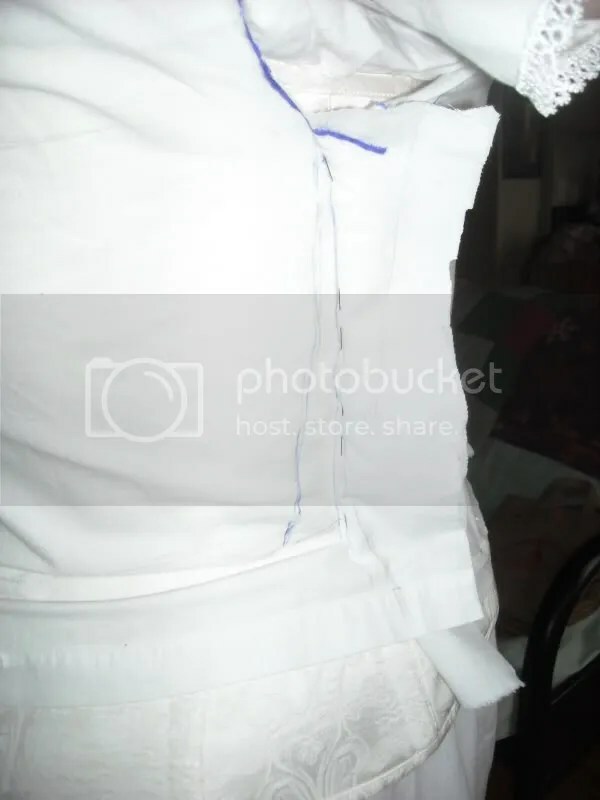 With that in mind, these tutorials are designed to show how to drape a mid-19th century bodice, and not a bodice for modern sewing. Sorry if I didn’t clarify that before, but better late than never, right? Today’s post will be short and sweet. We’re basically drawing 2 lines that mark where the period shoulder and side seam is, since it differs a bit from the natural shoulder and side seam lines. Make a mark starting about 1″ from the natural shoulder seam at the armscye. 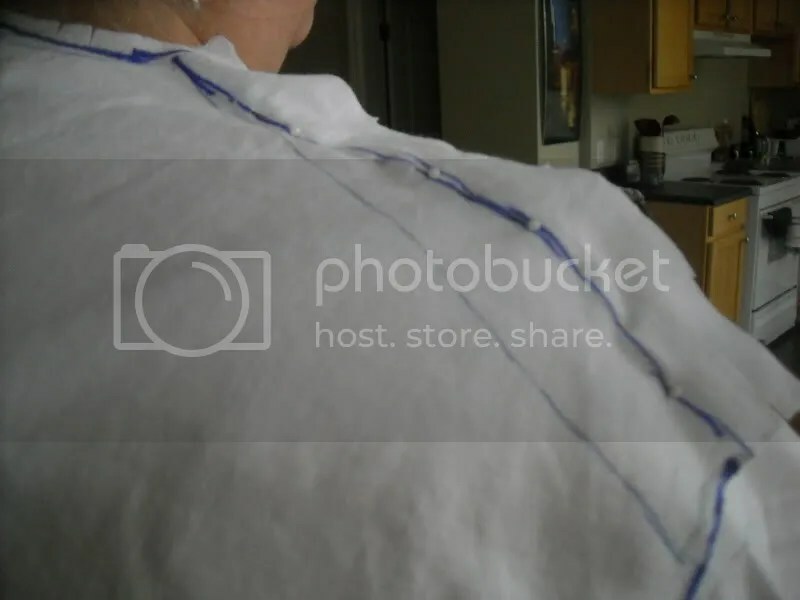 Using a ruler and pen, draw a line from this mark up to the natural shoulder seam right below the earlobe. That’s it for now. Next up: Making your toile into a pattern and testing the fit! Click here for Part IV!